Casacol was founded in 2013 with a singular vision: to assist both foreigners and locals alike make smart home purchases and investments in Colombia. Contact info for each of our team members is below, we look very forward to working with you and thank you for your interest in Casacol! In four short years we've grown to be the largest property manager of furnished apartments in Medellin and to the best of our knowledge we've represented more foreigners on both a volume and value basis in the last year (2016/2017) than any other agency local or foreign owned. Every day our team works hard to provide our clients with the best advice and best value in the market whether they are looking for retirement/vacation homes or income producing investment properties. 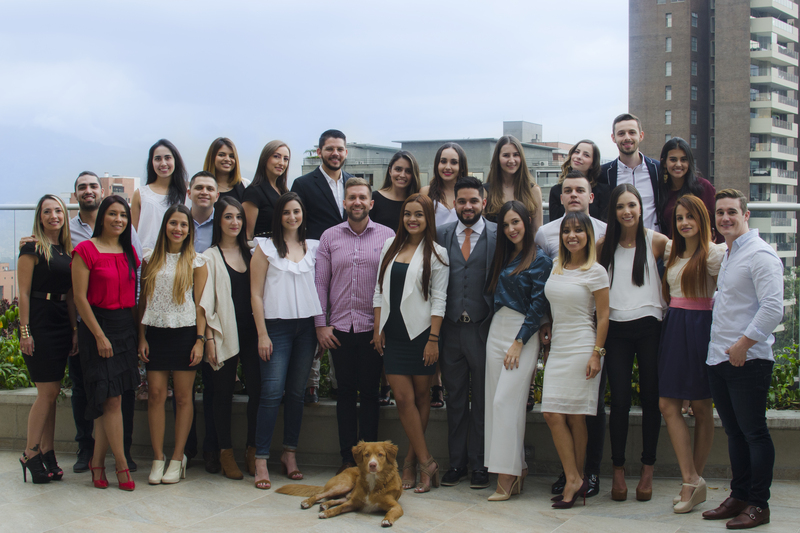 Casacol SAS is also an active member of the Lonja of Medellin (Real Estate Association) and the entire sales team (and most of the property management team) is Lonja trained and certified. 1) To provide the very best in investment opportunities and advice to both our foreign/local clients and to only offer investments that we feel maximize the goals of the client. 2) Provide an exceptional guest experience to those to rent our apartments. Happy guests will return again and again and refer friends, family and colleagues and thus keep our apartments full and our investors happy. Investing in Colombia should be safe, transparent and profitable. Navigating the investment process by yourself in a foreign country with a language and culture you may not understand can lead to costly mistakes. We aim for Casacol to be first choice for Colombian nationals and foreigners when an investor is looking for a high quality, income-producing asset with high liquidity and long-term price appreciation potential. Also hospitality in Medellin should be world class. As a developing country, Colombia can sometimes deliver an experience that falls short of the expectations of the international traveler. At Casacol we believe that a true global 5-star guest experience on a global standard for both our short and long term guests will soon become the norm in Medellin as our new projects come to fruition. Below are the profiles of some of our team members who work hard every day to uphold our mission and values. 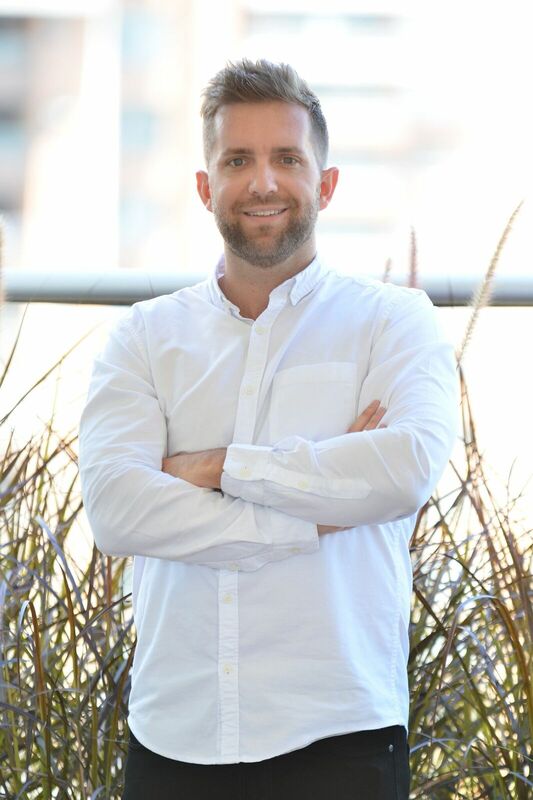 Originally from Canada, Brad spent 12 years in the software industry and lived in Vancouver, Toronto and New York City before moving to Colombia to focus full time on Casacol in 2013. Brad first traveled to Medellin in 2007 and started investing shortly after finding the opportunities in real estate to be too good to pass up. Today Brad is constantly searching for the best value in the Medellin marketplace and prides himself on the Casacol property management division with more than $30M USD in property assets under administration and more than $10M USD in new product/building pipeline delivering 10-15% annual returns to our investors. Investors can contact Brad directly for investment advice in Medellin and for more information on any of our new projects including future opportunities which may not yet published on the Casacol webpage. Brad can be reached at brad@casacol.co. Juan Pablo is of Dutch/Colombian ancestry and studied International Business at EAFIT University in Medellin and perfected his English while growing up in Europe. Juan Pablo is also fluent in Portuguese which has been a plus for our Brazilian investors in Medellin. Juan Pablo has successfully completed the series of professional real estate courses and licensing program in the Lonja of Medellin. Juan Pablo is responsible for all residential re-sale properties and the publication and maintenance of all sales listings at listings.casacol.co . He can be reached at juanpablo@casacol.co. 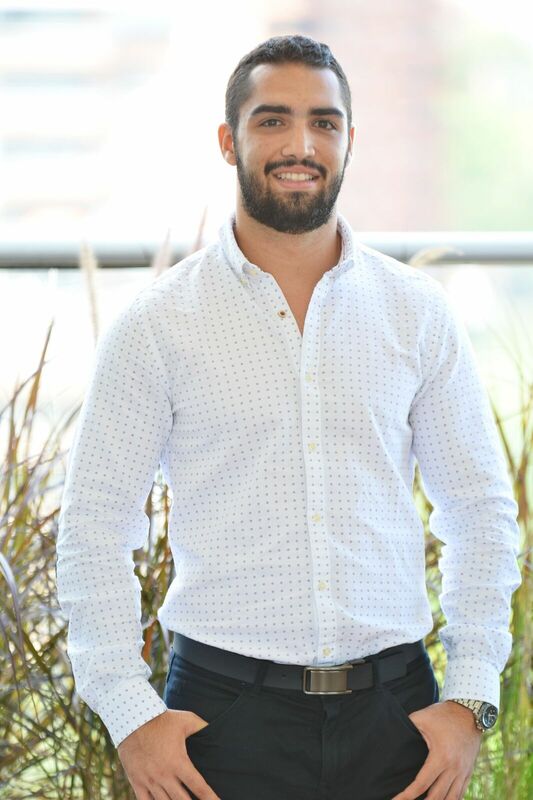 Tomas is in charge of Casacol's investment sales including Airbnb daily rentals, large hotel projects, Wall Apartments, all ROI-focused and income-producing units and he is the sales manager at the Epic Hotel. He has an educational background in Finance, Economics, and future trading and is an expert in marketing, property management, as well as investment portfolio management. He is trilingual, being fluent in English, Spanish and French, and has been very successful in the company thanks to his ability to provide a seamless and knowledgeable investment experience to his clients. Tomas can be contacted directly at tomas@casacol.co. Daniel is originally from Pereira and came to Medellin for International Business studies at EAFIT in 2013 specializing in finance studies. Daniel speaks fluent English and Portuguese and spent 6 months during a University exchange in Zurich, Switzerland where he studied strategic management and negotiation, advanced financial analysis and management of cultural differences in business. 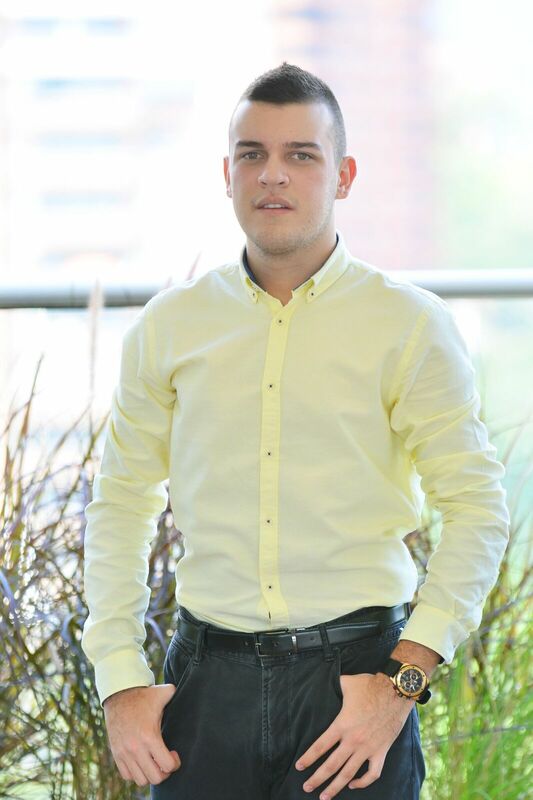 He joined Casacol upon graduation with a keen interest in real estate and foreign investment in Medellin. Daniel is also a student of real estate bubbles from a finance/credit perspective and his keen interest in the stock market and security analysis. He is also incredibly passionate about Crossfit (his "Murph" record is 38:15, FYI). Daniel can be contacted directly at daniel@casacol.co. Juan joined the Casacol team in 2017 after his arrival from Australia where he obtained Certificates and Diplomas in Business, Management, and Marketing at The Australian Business School and Australias institute of Technology and Education. Juan can be contacted directly at juancharry@casacol.co. Juan Jose completed his high school studies in Erie, PA and received his law degree from EAFIT University with a focus in International Law and Trade. Juan Jose lead the United Nations Society at EAFIT and proudly represented EAFIT at Harvard's WorldMUN conference in Vancouver, Canada, and Melbourne, Australia. 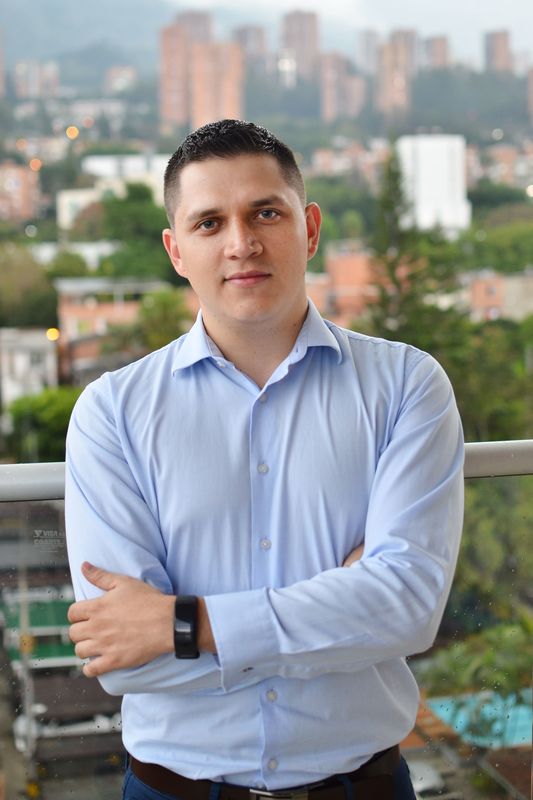 Juan Jose is currently completing a masters degree in taxation law at UPB University after which he will be able to better advise Casacol clients on tax strategies and especially the major change in the 2017 tax reform in Colombia. 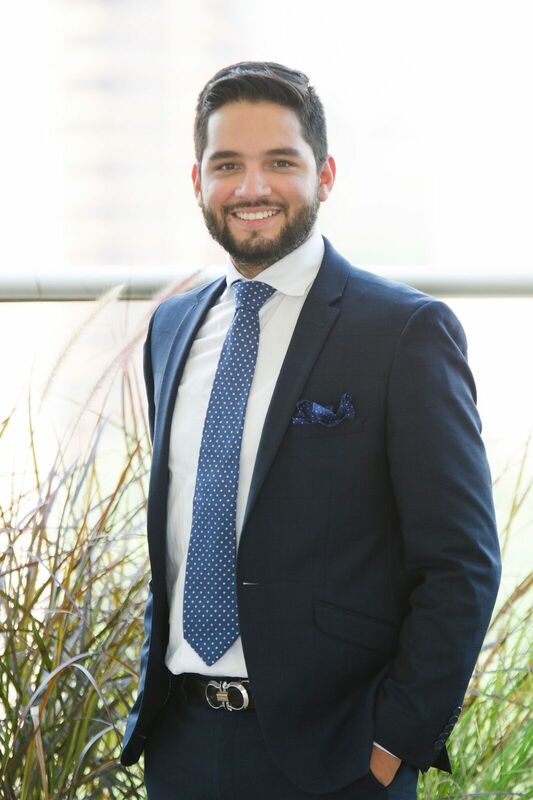 Previous to joining Casacol in 2016, Juan Jose worked in his father's law firm Giraldo y Asociados, a boutique Medellin law firm providing highly personalized legal counsel to a small number of high net worth local families and their holding companies. Juan Jose now advises Casacol clients on real estate transactions, tax-efficient real estate holding structures, immigration matters, capital preservation strategies, and prenuptial agreements. Juan Jose can be reached for all legal matters at juanjose@casacol.co. Mariana graduated from the EAFIT law school in 2015 where she was ranked consistently top of her class and is 100% bilingual. She works closely with Juan Jose on sales/purchase contracts, real estate title studies, visas, residency and immigration matters as well as SAS formations and banking relationships for Casacol investors. Mariana is also responsible for Casacol's industry associations and relationships including the Ministry of Tourism, the Colombian hotel association (Cotelco), and the real estate association of Medellin (La Lonja). Mariana can be contacted directly at mariana.goez@casacol.co. Valentina completed her Master's (LLM) Degree at the University of Leicester in England in 2017 with a focus on international and commercial law. She completed a Bachelor's Degree in Law from EAFIT University in 2015, and she interned at the United Nations Mission in Colombia as a representative in the United States. Previous to joining Casacol in January 2018 she worked at Cross Border Legal Solicitor in England and now she is a part of our legal team at Casacol, as a corporate lawyer. Valentina can be contacted directly at valentina@casacol.co. Ana Sandoval studied International Business in EAFIT with a focus on globalization of Colombian companies. Prior to Casacol, Ana worked for Procter and Gamble and helped grow P&G consumer product market share in the Barranquilla market. She was a member of the marketing student group at EAFIT and participated in their annual marketing congress. Ana also represented the EAFIT University student as a delegate at the Organization of American States in Washington DC. Ana is passionate about traveling and learning new languages. She speaks fluent English, French, Portuguese and Italian in addition to Spanish. Ana was a university exchange participant at ICHEC university in Brussels to perfect her French and she has lived and studied in England and Brazil. In her free time, Ana enjoys training aerial dance and is an avid Crossfitter. Ana can be reached directly at ana@casacol.co. 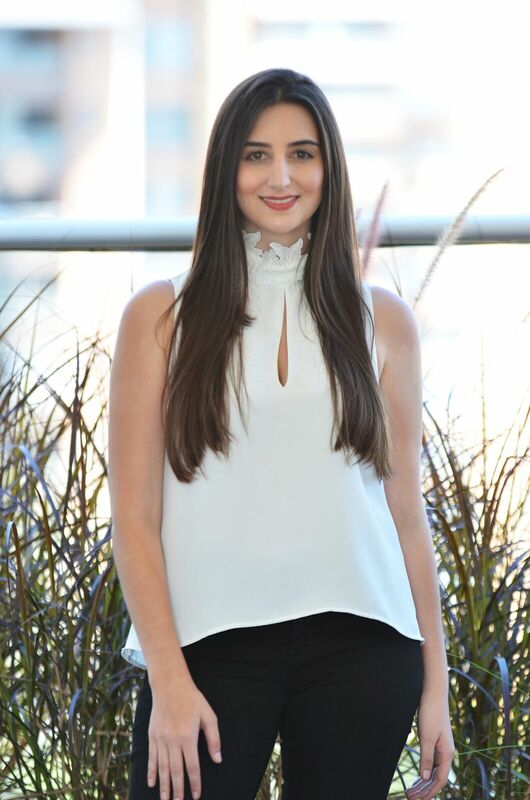 Susana joined Casacol in 2018 after her International Business studies at EAFIT University. 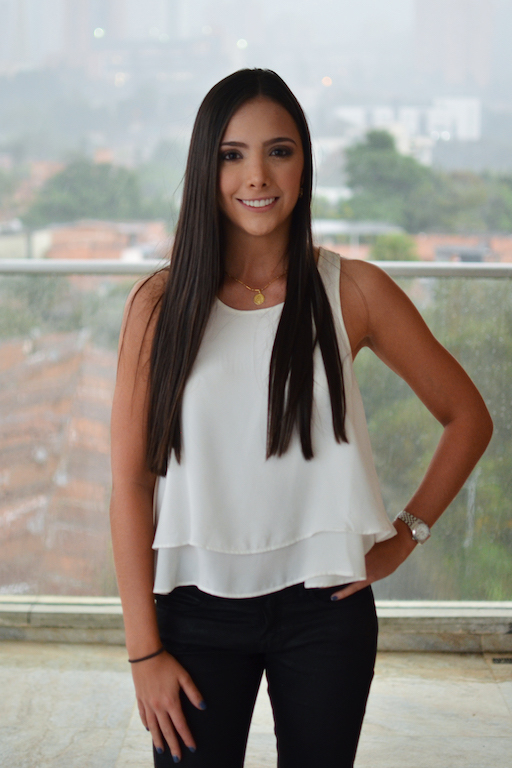 She is 100% bi-lingual and is passionate about the real estate industry in Medellin. Coming from a family of entrepreneurs, she considers her property management responsibility at Casacol like "running her own business" too. She enjoys going to the gym in her free time. Susana can be reached directly at susana@casacol.co. Joanna is a digital creative strategist from Romania with a background in real estate, tourism, micro-finance, and branding. 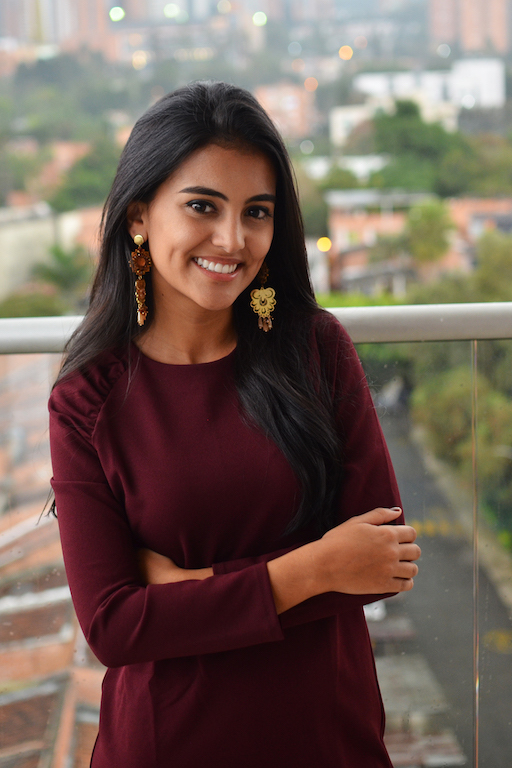 Upon perfecting her Spanish, Joanna followed a dream to lead an international crowdfunding campaign as an intern in a Colombian company, assisting micro-entrepreneurs in the Department of Antioquia while also leading the digital communications for TEDx Medellín 2014 and 2015. Having run the online communications for a real estate agency back in Romania, Joanna discovered her interest in the field and found Casacol to be the perfect opportunity to move forward and support our clients in managing their properties, while effectively combining her passion for real estate with her 6 years of experience in communications and PR. Joanna has successfully completed the 12-month real estate sales and licensing/training program at the Lonja (Real Estate Association) of Medellin. Joanna can be reached directly for penthouse rentals at joanna@casacol.co. 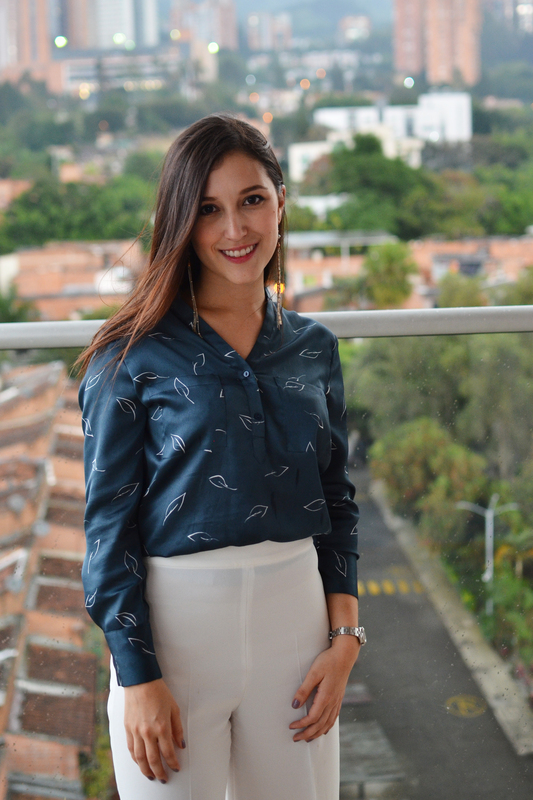 Sara Aguirre joined Casacol in 2018 after working at Arturo Calle, one of Colombia's largest clothing retailers, where she worked in strategic vendor management. She is a business management graduate from the EAFIT University where she also completed post-graduate studies in Marketing. Sara comes from a textile/industrial family and is passionate about fashion and branding. She also maintains her own brand of woman's casual clothing in her free time and brings a highly entrepreneurial spirit to her responsibilities managing the Energy building for Casacol. Sara can be reached directly for Energy Living rentals at sara.aguirre@casacol.co. Luisa is responsible for the property management of our Nueva Alejandría and Next Avenue portfolio. She works full time at Casacol while also studying law at the Universidad de Antioquia. 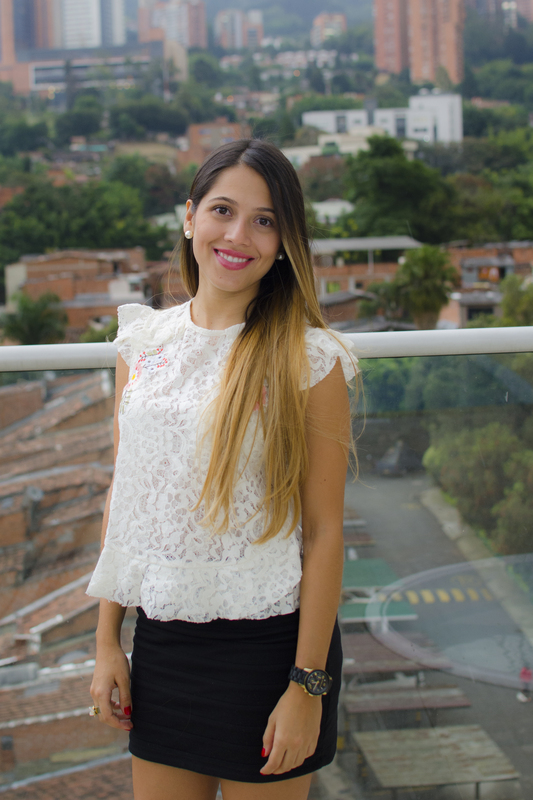 Luisa joined Casacol in 2016 from Oasis Collections where she spent her previous 2 years as their guest experience manager for Medellin. Luisa can be reached directly at luisa@casacol.co. Tatiana Ferráns Gómez studied Hospitality and Tourism in Autónoma de las Américas University with focus in management. Prior to Casacol Tatiana worked for Gran Hotel, a big and familiar hotel located in the center of Medellín. Tatiana loves traveling and reading about the stories of different women who changed the world. She speaks fluent English, in addition to Spanish. In her free time, Tatiana enjoys training with weights, reading, and watching movies. Tatiana can be reached directly at tatiana@casacol.co. Valentina Elejalde Angel is a professional in Hospitality and Tourism Management from Universidad Externado de Colombia, Bogotá. She started her working experience as a restaurant manager, and after graduation had the opportunity to work as a Lobby Bar Manager at JW Marriott Bogotá before being promoted to Restaurant Manager and F&B Assistant Manager. Valentina can be reached directly at valentina.elejalde@casacol.co. James has invested in Medellin real estate alongside Brad for many years was the first investor in the Soul project upon conception. James holds advanced degrees in Sciences as well as an MBA, and originally pursued a career in the biopharmaceutical industry. 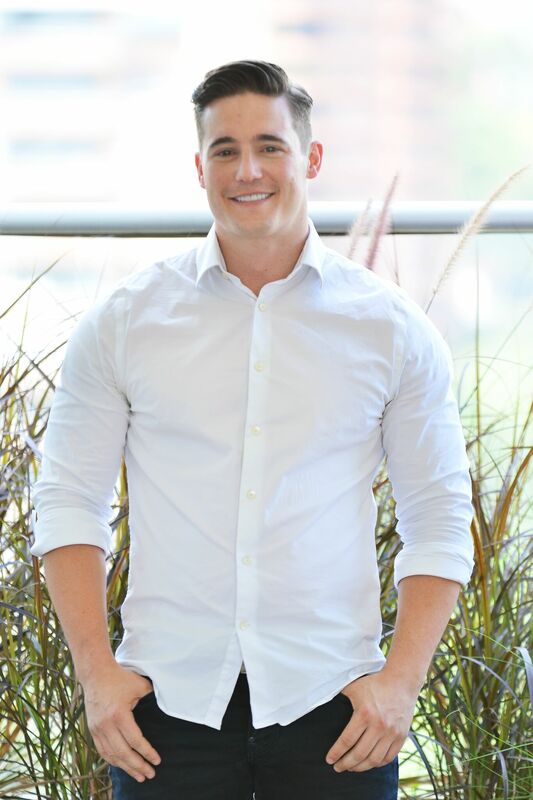 After assisting his company to dominate business goals for niche therapeutics, James decided to follow both his investments and passion for real estate in Medellin by joining Casacol full-time. Today James is responsible for the entire commercialization of the Soul building for both sales and property management. He can be reached at james@casacol.co. Laura joined Casacol in 2017 upon completing her International Business studies in EAFIT with an emphasis in Marketing. Laura is singularly focused on our core Blux and Moderatto buildings where she is responsible for the high levels of occupancy and customer service that our investors and renters alike enjoy. Laura is 100% tri-lingual (Spanish, English, and Portuguese) and went to high school in Phoenix, AZ where she perfected her English. She is also very passionate about helping to run her family business (import, retail, and distribution of athletic footwear) where she started at 12 years old. Laura can be reached directly at laura@casacol.co. Estefany joined Casacol in early 2017 as a property manager dedicated to our fast-growing portfolio in the Provenza and Lalinde areas of El Poblado. She was raised in Tampa, FL and then received her bachelor's degree in International Business at EAFIT with a focus on internationalization and entrepreneurship. Estefany not only is 100% bilingual but she also spent 3 months in Brazil studying and perfecting her Portuguese. She is passionate about business, interpersonal communications, and real estate. She is currently enrolled in the "Lonja de Medellin" real estate sales and property management modules. Estefany can be reached directly at estefany@casacol.co. Juliana Gil is a mechanical engineer graduate from EAFIT University. She joined our Casacol team in December 2017 after a career in the Colombian oil field service sector, completing her specialization on project management at El Bosque University in Bogotá. She is 100% bilingual and she is actually managing our brand new and super modern hotel Loma Verde which opened in 2018. She is responsible for and focused on giving out the best customer service for our tenants and Casacol investors. In such a short time in Casacol Juliana has developed a passion for business, customer service and real state in general! Juliana can be contacted directly at juliana@casacol.co. We met Maricela originally due to her work in interior design while coordinating the furnishing process of apartments for property owners at the Energy Living building. Maricela has a long history in real estate working for a family construction business. She joined Casacol to focus full time on interior design and remodeling process across our rental portfolio. Many of the best rentals you find on the Casacol website were designed/remodeled by her. Maricela can be contacted at maricela@casacol.co (Spanish only).